The hand-crafted pinstripe 16" Nagado Daiko from Tycoon Percussion is a traditional Japanese instrument handcrafted from environmentally-friendly Siam Oak wood. 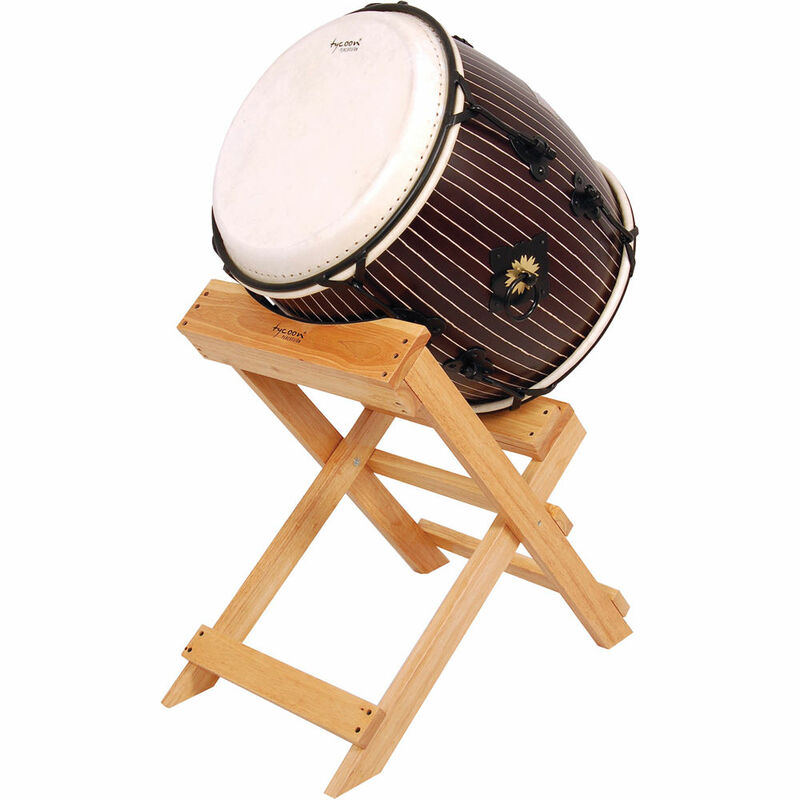 While the Nagado Daiko was originally used to issue commands and coordinate movements in the battlefield, today it is widely used in traditional festivals and concerts of ensemble music. This Nagado Daiko features heavy-duty black hardware and includes a pair of Bachi playing sticks. Box Dimensions (LxWxH) 25.0 x 23.0 x 23.0"